Indoor air quality is a fundamental aspect of sustainable living and it becomes even more relevant if you consider that we spend on average 90% of our time indoors! Cleaning products, paints, insulating materials, plywood and combustion are just some of the sources of VOCs (volatile organic compounds) in our indoor spaces, which cause real indoor air pollution. How to restore a better indoor air quality? Sure we need to pay attention to the products we use, but nature can also give a big help. 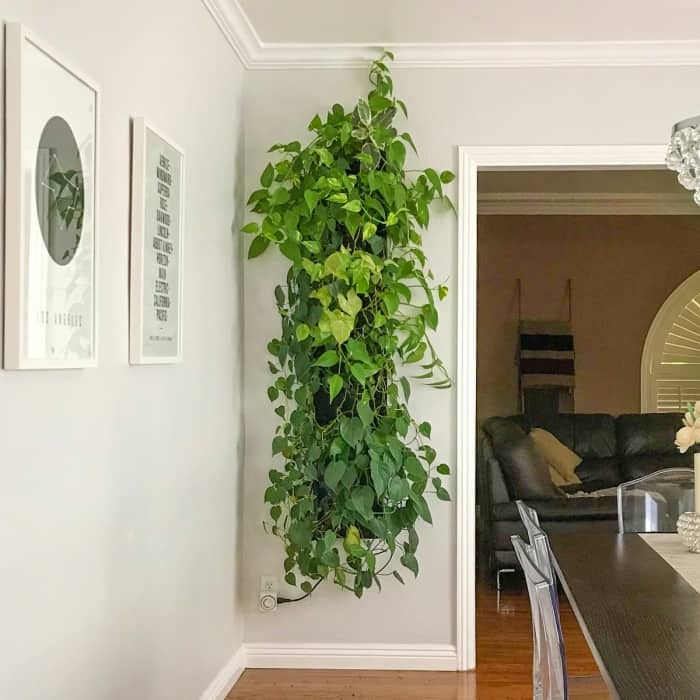 There exist some plants and flowers that are particularly good at absorbing VOCs and each new plant in also an opportunity to introduce an unexpected decorative display, something more impactful than just a vase. But what if you want to make even more of a statement with greenery? Garden wall design is the answer! 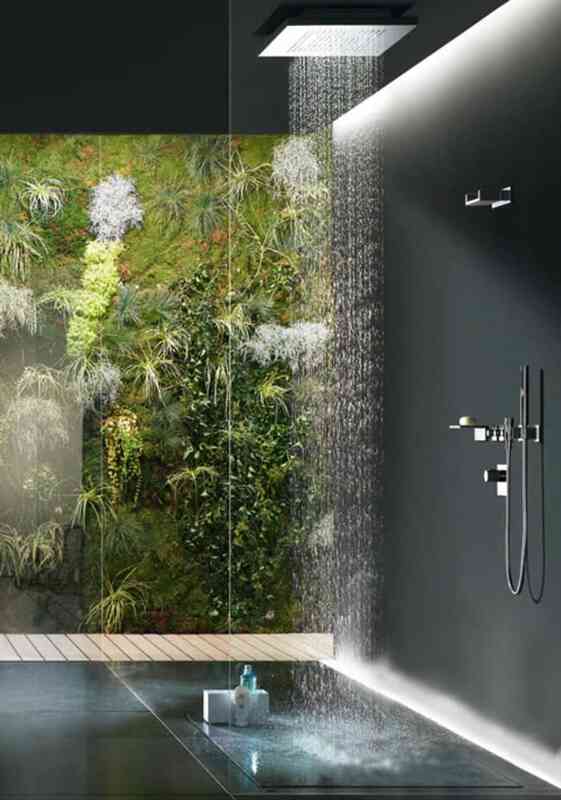 Imagine a giant living artwork or a whole wall covered with greenery! 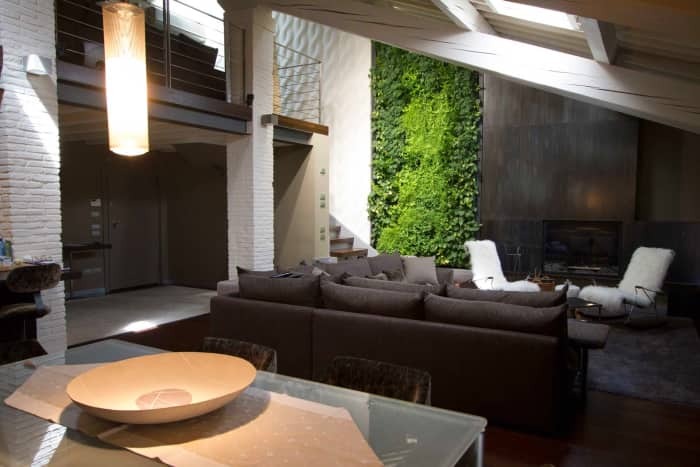 With its massive visual impact, a vertical garden wall can truly transform a space from dull to full of personality! Air cleaning will come as a by-product, giving a huge help in improving indoor air quality! 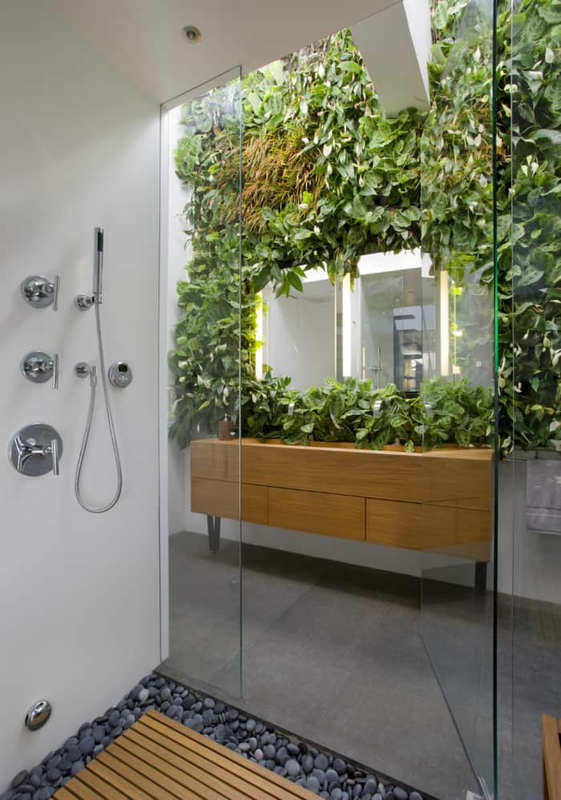 So let’s get inspired with some gorgeous vertical garden designs! 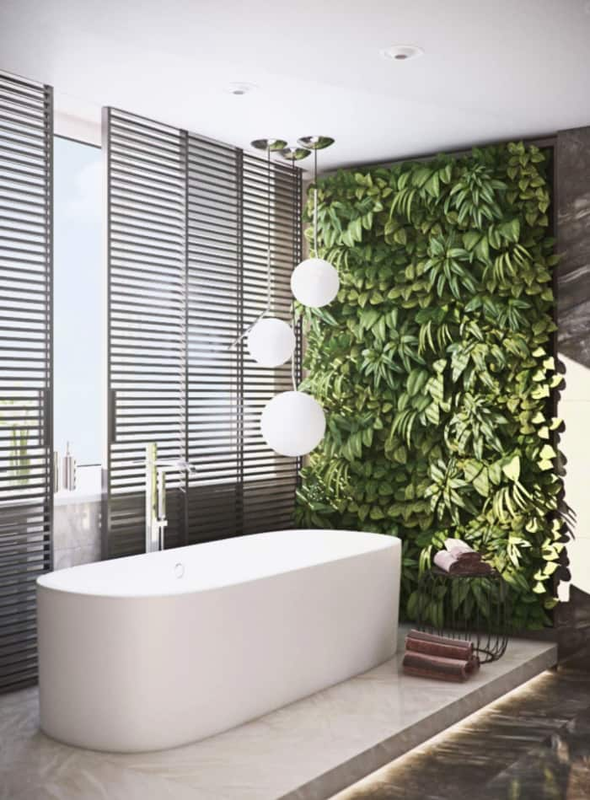 In the bathroom, a garden wall design creates a relaxing spa feeling while cleaning the air and decorating the space. 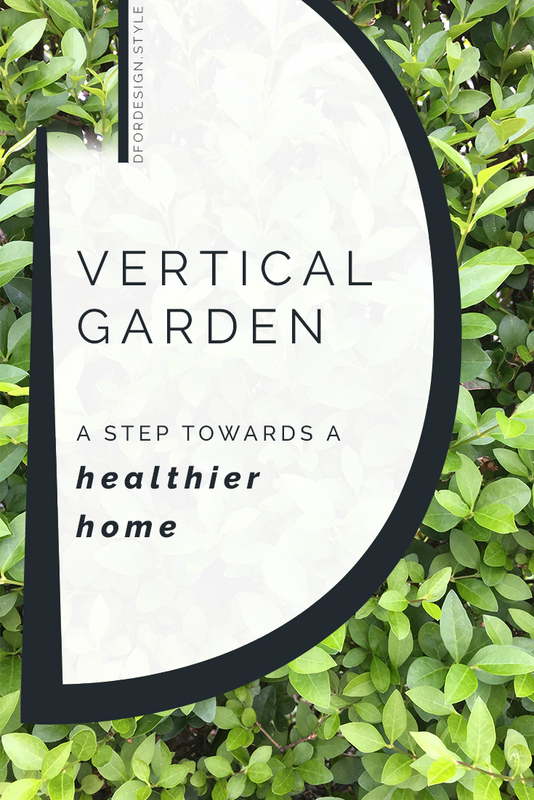 A vertical garden design is actually a beautiful feature for anywhere in the home. 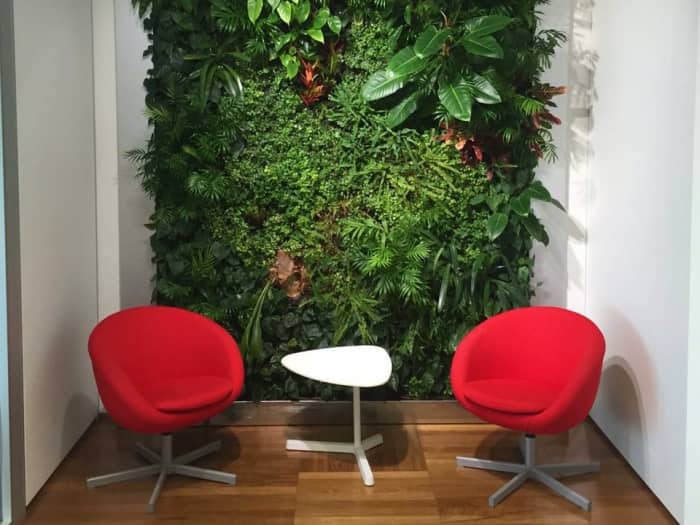 It also is a great way to implement biophilic design, an approach to the design of interiors that aims at improving well-being by restoring a better connection between people and nature. 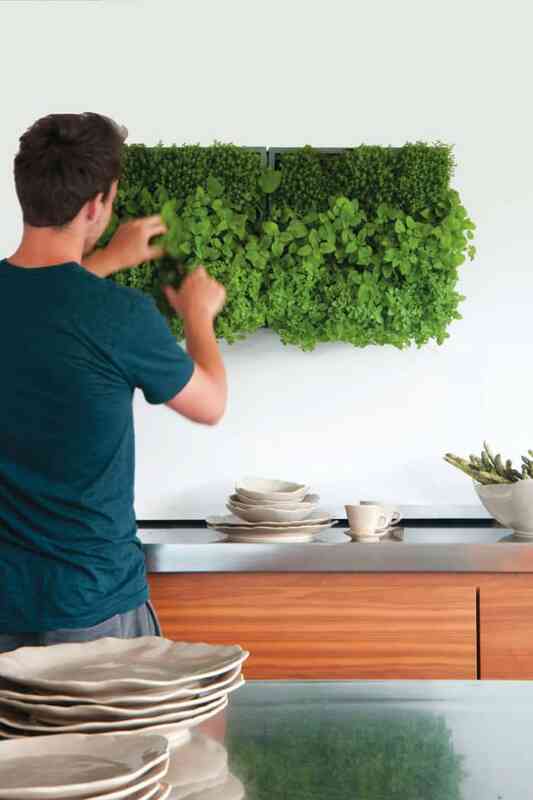 In the scope of sustainable living and growing your own food at home, vertical gardens can also be an idea. 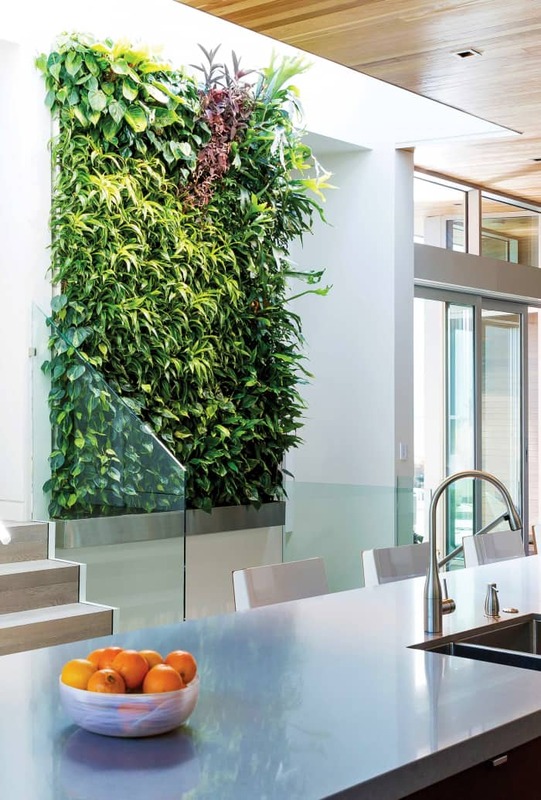 Imagine using herbs for a garden wall design; you would get a unique design feature in your kitchen, a naturally fresh smell at all times and tasty dishes! What more to ask? Installing and entertaining garden walls is easier than you may think. Full-height designs have to be installed professionally. They’re usually secured to the wall with a metal frame and also include an automatic irrigation system. They look absolutely amazing, but do turn out pretty heavy. So, if you’re planning to have a huge garden wall installed, just make sure that the wall will be able to withstand the weight! 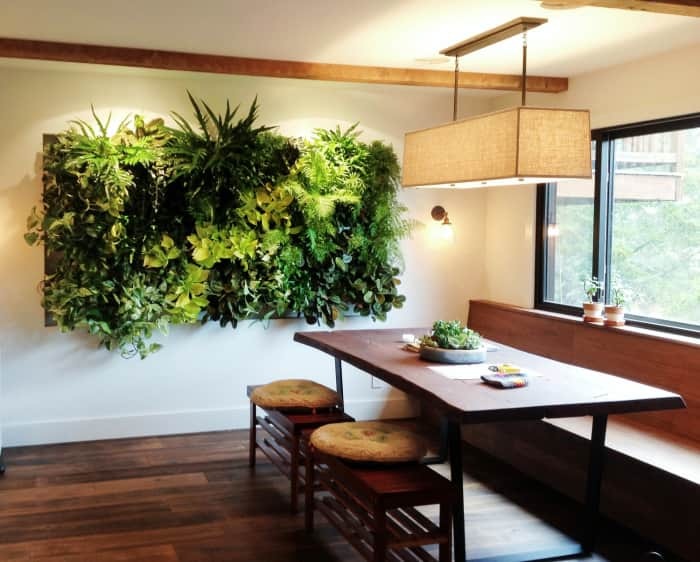 Smaller (but not less impressive) designs can be achieved easily with vertical garden planters, that are hung on the wall like a picture frame backed with a waterproof layer to insulate the wall from excessive moisture. These are basically panels with integrated pots for the plants, that – while growing – will cover the structure entirely. Some of them have rigid vases and feature a system of sloped channels to ensure even irrigation while avoiding water stagnation. Others are produced out of felt. US made Florafelt planters for instance use felt made from recycled PET bottles, an atoxic material that is ideal to contain plants, allows constant air circulation and distributes water evenly throughout the panel. Isn't it great? 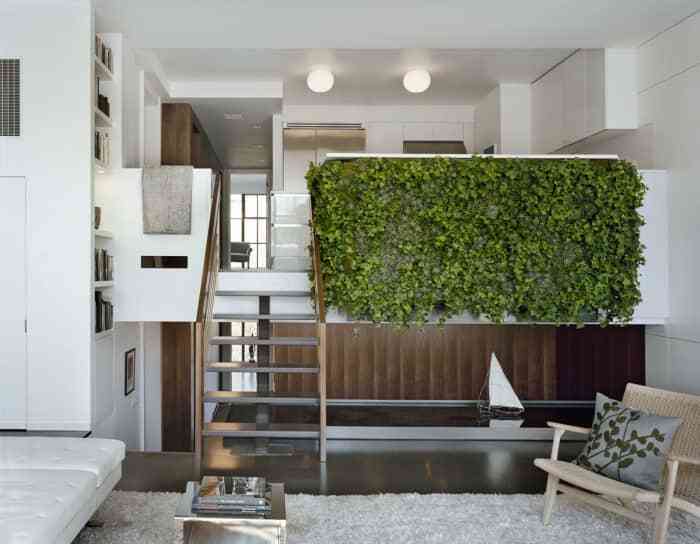 So what do you think of these vertical garden designs? I personally love the concept! 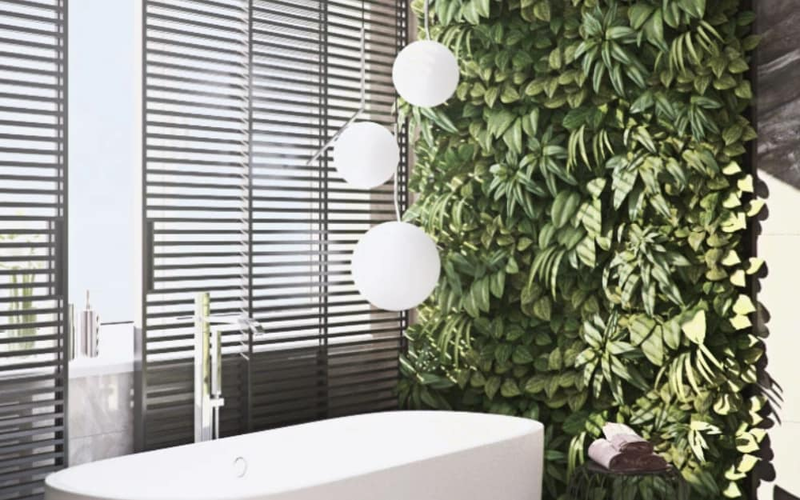 They are the perfect example of a sustainable installation that can improve our health indoors, help the planet and introduce a gorgeous design feature in a space!